Many retail businesses have begun utilizing store walks as a way to verify consistent and proper execution as well as to identify issues and opportunities. Yet, identifying trends such as poor performing locations and company-wide concerns is still a challenge. That’s according to execution solution Taskle. 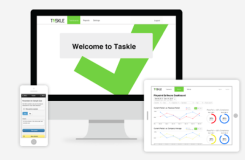 Taskle delivers a cloud-based, easy-to-use solution to communicate priorities throughout an organization and capture responses (pictures and data) via smartphones and tablets. Real-time reporting helps identify ways to sharpen a brand’s message, pinpoint training needs as well as identify and congratulate top performers. 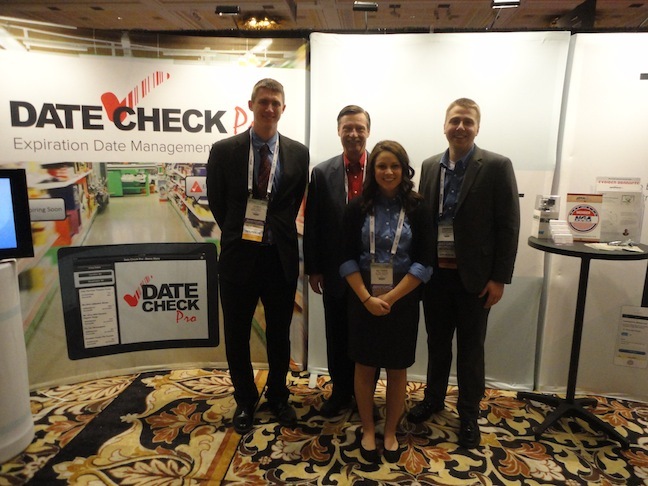 Originally released for testing in September, Taskle launched this week at the NGA Show in Las Vegas with a panel discussion titled, “Improving In-Store Conditions—Tools and Techniques.” The panelists included Alan Alden of T.A. Solberg, Troy Vosburgh of Skogen’s Festival Foods and Mark Beaty who has prior experience in operations with both H-E-B and Roundy’s. The product was built in a collaborative effort between Pinpoint Software and Wisconsin-based Skogen’s Festival Foods. Vosburgh identified the need for Taskle in his role as VP of perishables at Skogen’s and approached Pinpoint to bring the idea to the market. “We have multiple locations with thousands of items, standards and expectations,” Vosburgh says. “Unfortunately we only have two or three supervisors per department. That means some stores will go without a visit from a certain department for a week or two. That being said I knew I had people in the store from other departments but needed a way to let them know what to look for. Said another way, how do I get the meat guys to know what to look for in bakery? How do I get the produce guys to know the standards of a seafood program without hours of studying? Boom, the idea for Taskle was born. While the platform is built primarily for store walks, it can be customized to meet nearly any compliance-tracking need. The platform also can be used at store level to verify that regularly occurring and one-time high priority tasks are completed. Some examples in the grocery, retail and restaurant industries include sweep/floor logs, food recall management, temperature logs and maintenance logs. Visit taskle.com for more information. 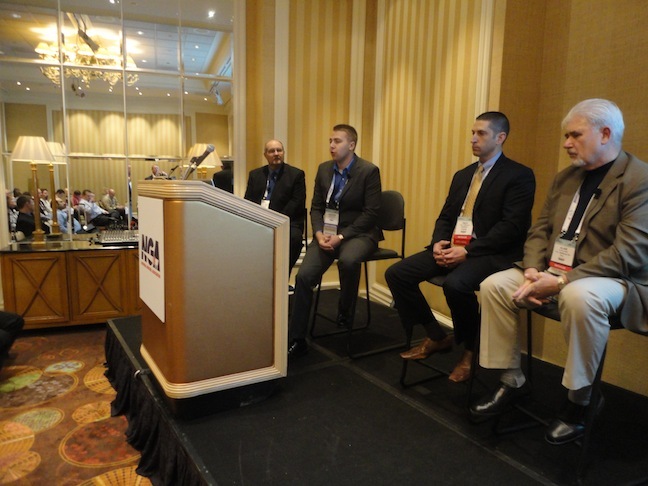 In the feature photo at top: Taskle launched this week at the NGA Show in Las Vegas with a panel discussion featuring, from left, Mark Beaty, formerly of H-E-B and Roundy’s; Andrew Hoeft, president of Pinpoint Software; Troy Vosburgh of Festival Foods; and Alan Alden of T.A. Solberg Co. Pinpoint Software staff Cody Sheehy, Andrew Hoeft, Alyssa Harings and Dan Nordsieck.